Leaf buckets are used for collecting light leaves and twigs. Can be used as snow bucket without the hatch. One work attachment, multiple uses. 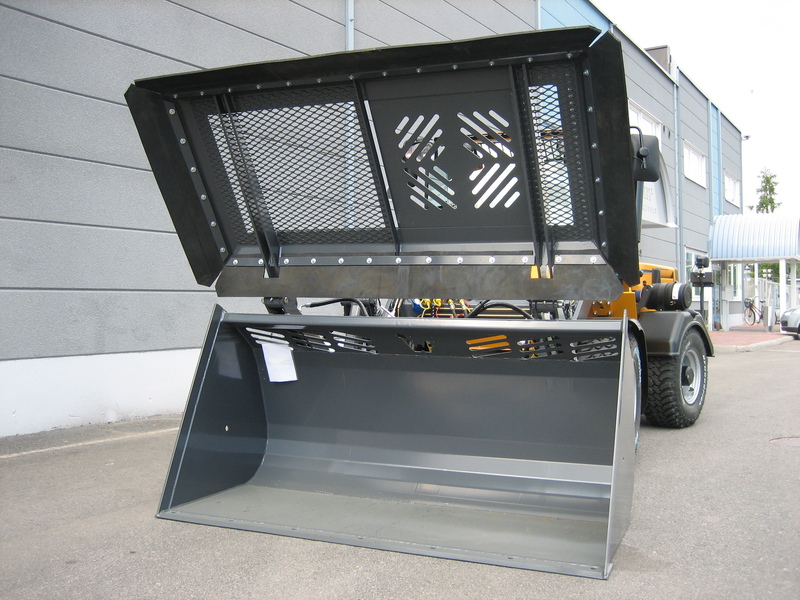 The bucket is equipped with a manually opening top hatch, where from the collected material can be put inside the bucket without that the material would, for example, be exposed to gusts of wind for the whole width of the bucket. The whole cover can be opened and closed hydraulically from the cabin of the machine.